Elena and Ryan enjoyed an elegant wedding ceremony at St. Joan of Arc Catholic Church before celebrating with a surprise-filled reception at the Scottish Rite Cathedral. Following the ceremony, the bridal party took off in a trolley for photos with Jamie Owens of J. Scott Photography at the Indianapolis Museum of Art. The reception setup looked fabulous thanks to the efforts of Royal Creations, Thomas Caterers of Distinction and Classic Cakes. Rick of DJs Direct kept the crowd going all night and helped execute the highlight of the evening to perfection, as Elena and her father “interrupted” their own father-daughter dance to surprise their guests with an epic Greek dance. Kali and Garrett got married at St. Mary Catholic Church, and they had an absolutely stunning reception at the Indiana Roof Ballroom. 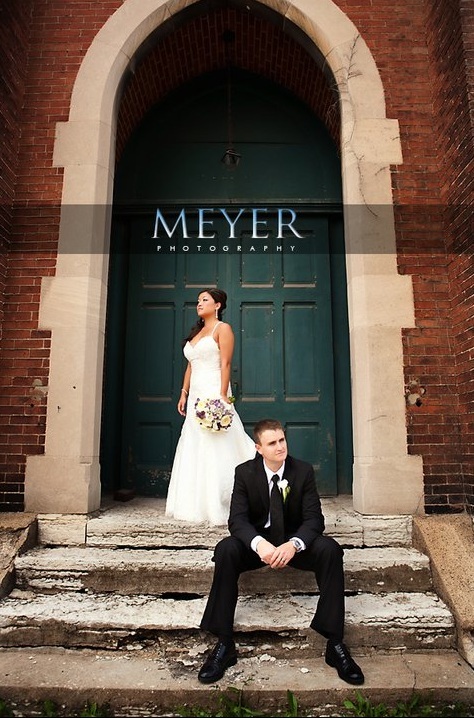 It was wonderful working with Jim of Meyer Photography while capturing all of the special moments between the bride and groom throughout the day. The reception looked beautiful thanks to flowers by the Design Group and a cake by Classic Cakes. The Indy Express Band (who referred the couple to us!) entertained everyone and kept the dance floor packed! Congratulations Kali and Garrett! Best wishes for a lifetime of love and happiness! 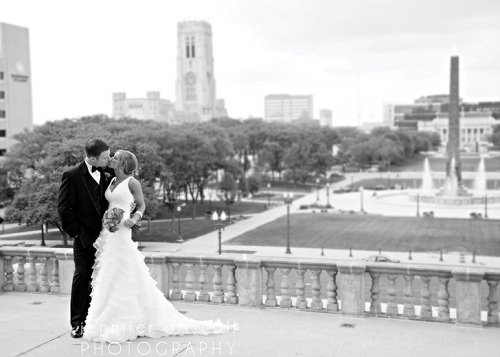 Jill and Cody had their wedding ceremony at St. Luke’s United Methodist Church, and their reception followed at the Conrad. The couple saw each other for the first time in Sower’s Garden at the church before photos with Melody and Jeremy of Carpenter Photo & Design. After the ceremony, Jill and Cody exited the church as guests waved Texas flags (where the couple lives now). The ballroom at the Conrad looked beautiful thanks to decor by JP Parker Flowers and a fabulous cake by Classic Cakes. The Cocktail Sax Band entertained the guests during cocktails, while Jon of Event One DJs rocked the reception. Deanna Boyce of Eventfull Planning did a great job of running the show, with help from new EP partner Laura Lim. Best wishes to you always, Jill and Cody! Kyle and Caleb pulled out all the stops for their phenomenal wedding and reception at the Scottish Rite Cathedral. The tears started flowing the night before as Kyle’s mother dedicated a serenade to her during the rehearsal dinner at The Capital Grille. Photographer Jennifer Driscoll and I captured preparations with Karen Hall and Company the next day at the Conrad, followed by the couple’s first look and more photos outside the Scottish Rite. The ceremony in the south lounge had many unique touches, from the “time capsule” box enclosed with wine bottles and notes that Kyle and Caleb hammered shut, to the dove release during the grand exit. Consultant Darcie Kornmeyer of Circle City Planners (who referred Kyle and Caleb to us) and Tiffany Mullen of Circle City Designers teamed up to transform the ballroom once again, with a huge assist from Thomas Caterers of Distinction, Evans Audio Visual and Westwood Paper Company. Chris Burger of Copper Moon Entertainment presided over the evening’s many highlights, kicked off by a surprise early first dance on the ballroom floor during the cocktail hour as their guests enjoyed the view from the mezzanine above.